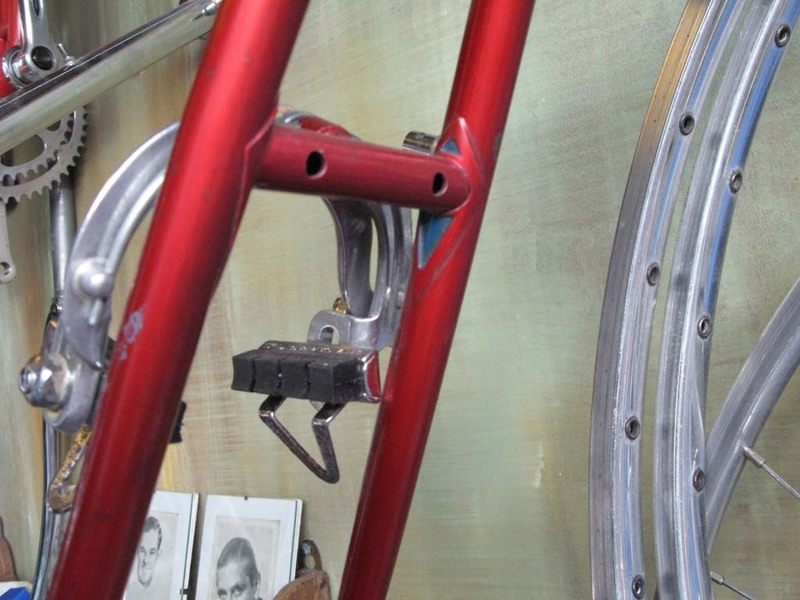 This is, I believe, the work of Charles Terryn sometime mechanic to Eddy Merckx. I have always believed that if a job involved a great deal of extra work for no particular advantage Bill Philbrook would have done it just to show that he could and it seems that Terryn was cut from the same cloth. And why the two holes? surely not for lightness. Don’t panic mechanic! 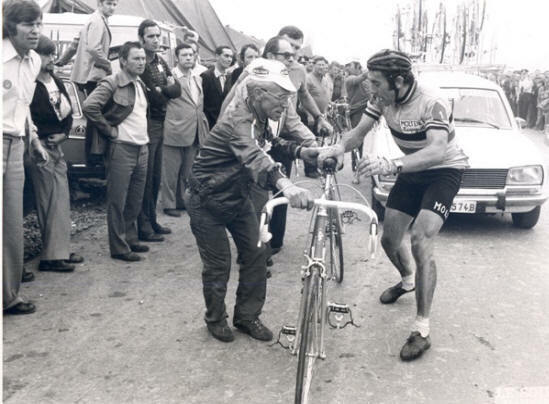 Charles Terryn hands Eddy his bike at the 1975 Worlds. I had it all worked out. A short piece bigging up Sky for, probably, being the only team to have taken the GC in two major stages races run concurrently. I say probably as I am at present homeless and my records are in storage so I can’t “research” the topic. 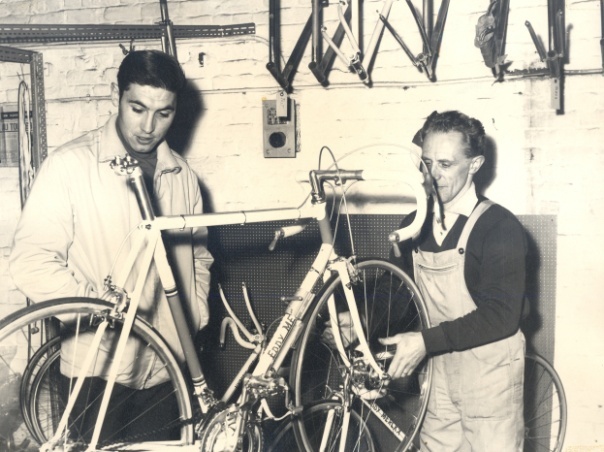 Anyhow whether or not it was unique it would have been a major achievement to win both Paris-Nice and Tirreno-Adriatico. I have only been able to find the last few kms on t’internet so I don’t know how Chris Froome screwed up but clearly three ascents of a 30% climb would make it impossible for Sky to control the race but why couldn’t Froome hang in with the leaders? Was it a repeat of the overgearing they suffered in the Vuelta? Nevertheless Sky are having a great season and that is without bringing Wiggo in to play. Roll on July!